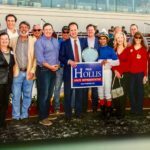 The Monson Law Firm enjoyed a day at the Races with State Representative Paul Hollis! Pictured are St. Tammany Parish Assessor Louis Fitzmorris, Jay Adair, St. Tammany Parish Sheriff Randy Smith, State Rep. Paul Hollis and Matthew Monson, Esq. Click here to view pictures! 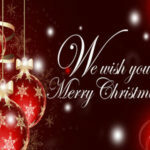 Merry Christmas From the Monson Law Firm! 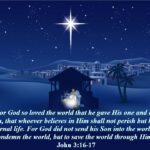 May we all recognize the blessings bestowed upon us this Christmas Season! 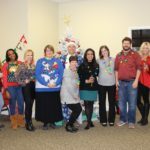 Monson Law Firm Christmas Party! The Monson Law Firm enjoyed team building while escaping into the holidays at The Monson Law Firm Christmas party! The firm celebrated this special snow day by starting at Escapeology in Covington followed by our firm Christmas luncheon at Annadeles Plantation. Click here to view pictures! The Monson Law Firm attended the Northshore Claims Association’s Christmas luncheon at Bosco’s in Mandeville. Each year the NSCA selects a charity to give to for Christmas and this year we chose to give our $750.00 donation to James Storehouse for Christmas! From cribs to college, James Storehouse supports children in foster care and those aging-out of foster care by providing resources that will ease transitions and improve living conditions. James Storehouse encourages awareness and motivates community participation in support of children in foster care. For more information please visit: https://jslouisiana.org. Pictured are Matthew Monson, Esq., Ruth Damare with Guarantee Restoration, Brittany Kazancioglu with James Storehouse, Mike Bush with M.G. Bush Safety & Claims and Mike Orlando with Emergency Restoration. Click here to view pictures! The Monson Law Firm attended The Insurance Professionals of Greater New Orleans Christmas Party at Southport Hall! 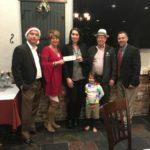 Pictured are Jason Dimaggio with Safepoint Insurance, Tim Clements with Clements Insurance, Jessica Clayton with Classic Insurance , Rusty Ruiz with Access Home Insurance and Casey Lane with Lane and Associates. Click here to view pictures! The Monson Law Firm attended the Risk Management Society’s Christmas Luncheon at Commanders Palace in New Orleans. This year for Christmas RIMS gave a donation to St. Michael Special School! For over 50 years, St. Michael Special School has educated students ages six through adulthood with special needs (i.e. those with mild, moderate, and severe disabilities, including autism, ADHD, developmental delay, traumatic brain injury, multiple disabilities, and other health impaired). The school is unique in that it provides for the development of the whole child—academically, physically, emotionally, and spiritually—regardless of his or her disability. 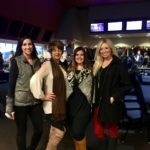 For more information on how you can support St. Michael’s please click here: http://www.stmichaelspecialschool.com Pictured are Brittany Davis Stoudt with Emergency Restoration, Tish Sauerhoff with St. Michael Special School and Ann’Lee Earles Inman with The Monson Law Firm. Click here to view pictures! The Monson Law Firm attended the Young Insurance Professionals Holiday at the Races at the Fair Grounds Race Course in New Orleans! Pictured are Baylie Babin with Imperial PFS, Ruth Damare with Guarantee Restoration, Brandi Lamonte with Riverlands Insurance and Ann’Lee Inman with The Monson Law Firm. Click here to view pictures! 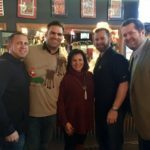 The Monson Law Firm attended the Northshore Chapter of Professional Insurance Agent’s Christmas Luncheon at Keith Young’s in Madisonville. Pictured are Matthew Monson, Esq. 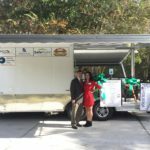 and Alicia Stanley with Markel Corporation in front of the new Northshore PIA’s Disaster Response Trailer! Click here to view pictures! 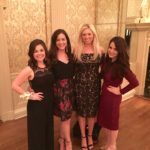 The Monson Law Firm attended the New Orleans Chapter of Professional Insurance Agents Annual Installation and Holiday Banquet at the New Orleans Country Club. 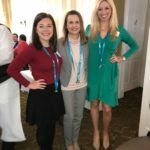 Pictured are New Orleans PIA President Brittany Davis Stoudt with Emergency Restoration Company, Mary Katherine Brown with Brown Claims Management, Ann’Lee Earles Inman, CISR, CPIA and Lauren Baudot, Esq. with The Monson Law Firm. Click here to view pictures!